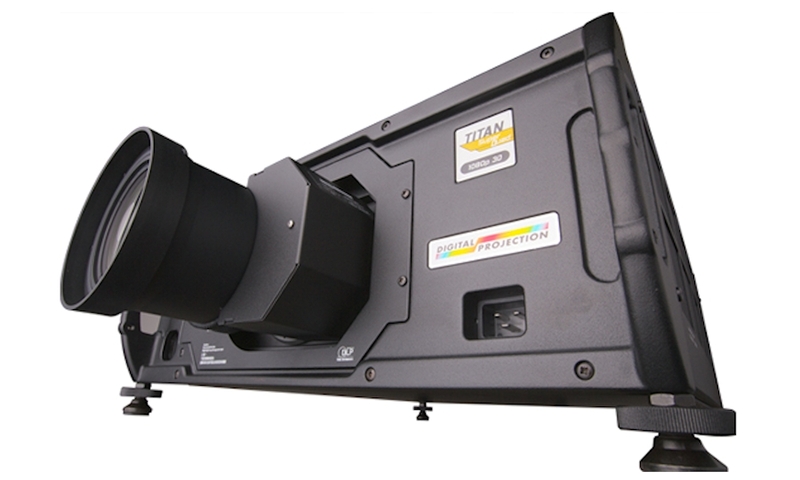 Size:- It is at least 40% smaller than any other comparable projector. 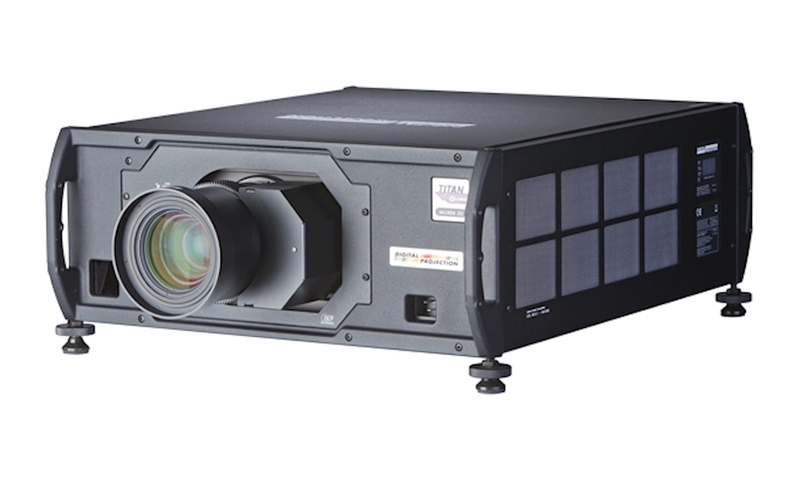 Using state of the art design, construction and thermal controls allows Digital Projection to produce this class-leading product. Weight: Using innovative technology and materials, the TITAN Super Quad weights in at just under 40kg, around 60kg less than some of its closest competitors. 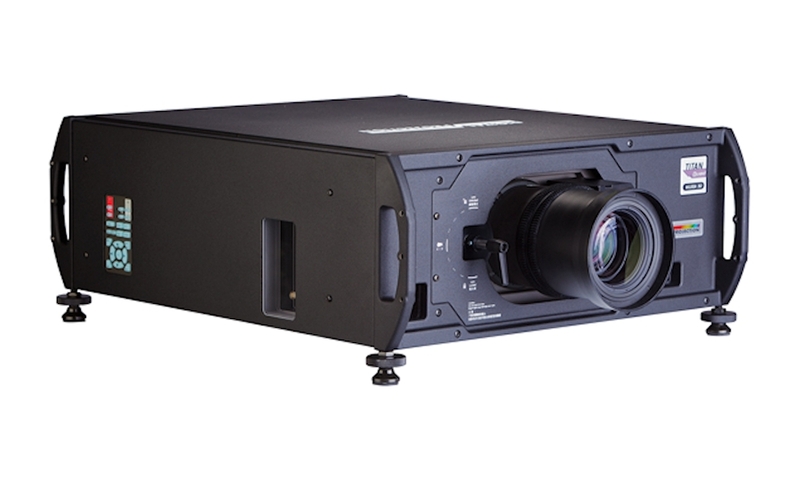 Brightest: No projector of this size produces close to the 20K Lumens output of the TITAN Super Quad. Couple this with four long life lamps offering up to 8000 hours life means cost of ownership is further reduced and it is friendly to the environment. 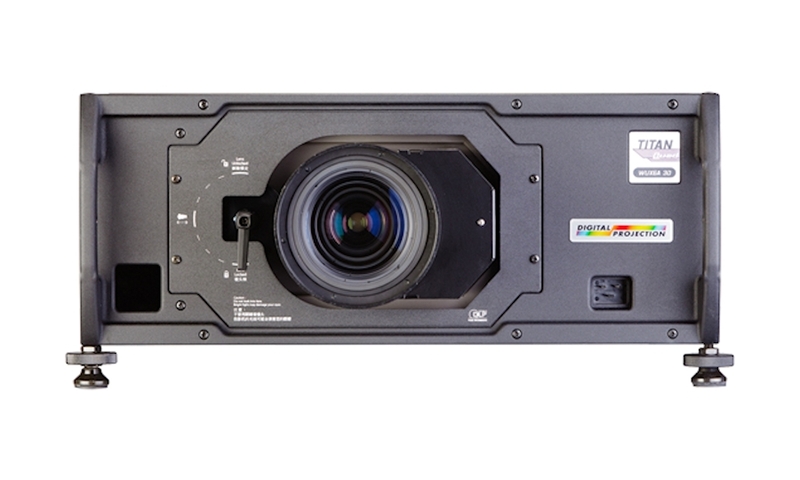 Quietest:This is the quietest projector in its class on the market. The liquid cooling and Dynamic Thermal Control, including the 18 fans, are all individually regulated. High bandwidth digital & analog receiver with 10 bit A-D.
based, motion adaptive interpolation and auto cadence correction. Displayed image frame locked to input with as low as 1 frame total latency. Image enhancement for MPEG, Mosquito noise & color transients in composite sources. Cornerstone, Vertical & Horizontal Keystone, Pincushion & Barrel, and Image Rotation. Non-linear Warp adjustment by moving points on an interpolated grid. Geometry correction and Edge Blending implemented in single stage process, retaining maximum image resolution. Two sources can be displayed either one within the other (PIP), or side by side, with original aspect ratios maintained. 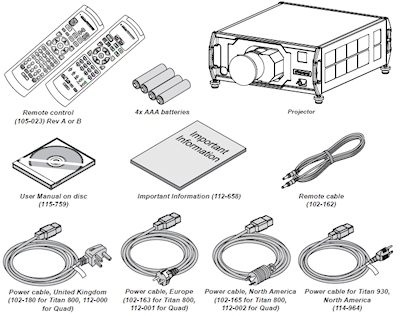 Accurate matching of projectors in tiled or blended applications. User selection and storage of primary and secondary color targets. Pixel mapped to the display. Dual Link DVI accepts frame rates up to 160Hz with latency as low as 1 frame. Dual Pipe processing: two sources in parallel for left and right eyes. Synchronisation of active glasses or polarising switcher. Lamps can blow, if you need your projector working and can't afford down time, you may need to keep a spare lamp. 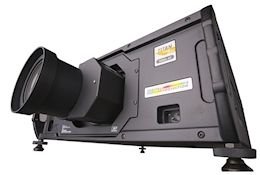 The replacement projector lamp for the Digital Projection Titan SQwud is the 113-628 (single).